May is Mental Health Awareness Month. Below are some some things that I have come across that people are doing to recognize this. Many of these things you can do very easily to help raise awareness about mental health and mental illness. Take a pledge or share your story on Bring Change 2 Mind. Taking the Replace stigma with hope pledge. Sharing their experiences with mental illness on SANE. 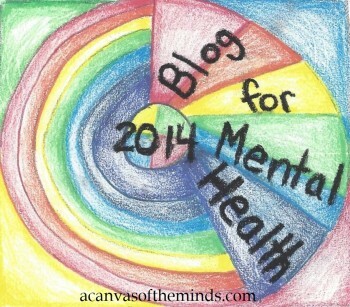 Sharing mental health related messages on Facebook, Twitter, Instagram, Tumblr, Pinterest, Youtube etc. Niagara Falls is illuminated green. Note: If you would like to be added to the list, please send Facebook message or direct Twitter message. This entry was posted in mental health awareness, Uncategorized and tagged #changementalhealth, #getkind, #mentalhealthawarenessmonth, #staystrong, #stigmafree, #whonotwhat, bipolar disorder, BringChange2Mind, DODlive, each mind matters, empire state building green, imnotashamed, know the 5 signs, kusi news, making a difference, mayim bialik, mental health america, mental health awareness month, mentalillnessfeelslike, mhm2016, nfl and mental health, nfl lifeline, ok2talk, partners for strong minds, raise awareness of mental illness, reach out for mental health, replace stigma with hope, SANE, stigma, stigma free, stomp out stigma, thank a mental health advocate challenge, The Mighty, time to change, troy vincent, walgreens mental health, whatmentalillnessfeelslike, Women's Health Magazine, you are not alone. Bookmark the permalink.